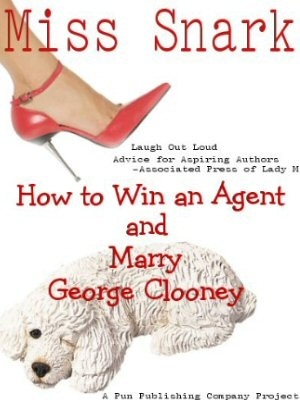 Miss Snark, the literary agent: Time for the ClueGun...literally! the greatest secret of all, is also revealed in an even more masterful plot twist. The question is, should the author tell the agent in the query letter that the novel is a clever-ish interpretation of Clue where Colonel Mustard did it but the reader is led to believe it was Miss Scarlett until the very end, or, should the author just allude in vague terms to the fact it's a saucy new rendition of a cultural icon with a delightfully clever surprise ending? Your sample queries seem to be more of the "vague allusions" persuasion, but it seems to me that cutting to the chase would make the agent's life easier. What say you? I say if you start telling me that you work is a saucy rendition and/or clever reinterpretation, I'm going to stop reading and hit you over the head with the ClueGun (trademark Miss Snark, patent pending). Don't tell me it's clever: be clever. Don't tell me it's funny: be funny. And don't tell me the entire plot in the cover letter; that goes in the synopsis. Do we need to review the Keys to Success in a query letter? 2. Who is the hero and what happens to him in 35 words or less in the first chapter of the book. 3. Why should I want to read on? 4. Who are you (not your name, I can read your signature we hope) but a little bit about you and why you are fabulous. 5. If you have room you can mention how much you love Killer Yapp's festive new Yankees cap. You should also know that Clue the game IS trademarked and using it is a huge red flag. You'll need to address that issue specifically. Style obfuscates meaning. Thanks for the clue! My head is spinning in the billiard room because of a lead pipe that either Mrs. Peacock or Colonel Mustard used to hit me over the head after I read this description! The submitter should visit Evil Editor. Please forward Killer Yapp wearing the festive Yankees Cap and I will tell you IF I think he's as adorable than my Louie in a dishwasher. I'm sorry to hear Killer Yap has been so misled in things baseball. I would gladly send him a Detroit Tigers cap with my next query if there wasn't that darned prohibition about tucking in extra items into the envelope. Cutting to the apparent meaning of the original wordy question, I would also like to know whether agents want to know all the "secrets" up front.